When I blogged about some resources I'd made to brand the reading AFs, I promised a blog post about how and why my year group had abandoned the traditional method for teaching reading. The idea came from my wonderful year leader, Rhoda, so she has written this to share our reasons and method. If you'd have asked me 18 months ago about the most effective way to teach reading across the primary phase I would have, without a doubt, talked about Guided Reading. I had always taught reading through this approach, it was just the way we did it. In fact, I was such an advocate that when I Ied English across my school I encouraged other colleagues to do the same. I’ve now changed my mind. I have sat through many meetings listening awestruck to “super teachers” recount their ability to sit with a small group, ask focused and meaningful questions while simultaneously writing children’s responses down on post it notes. This is apparently useful for APP. I’ve never found this to be the case, just that I am drowning in post it notes while trying to decipher my failing handwriting. I feel that too much of the group session is focussed on assessment of reading, not on teaching of it. When observing teacher led groups in guided reading the questioning doesn’t seem to be focussed on one Assessment Focus (AF), rather it jumps around and covers a multitude of them superficially. The group is also inevitably dominated by the confident child, whereas those that are less confident get the chance to sit back. Inevitably a good teacher would set high expectations for participation from all members of the group. But it’s hard. And maybe a 25minute conversation isn’t always the best way to ascertain what they know and what their next steps are. 5) The difficult AFs need teaching. As children move through KS2, they are required to become more analytical as readers. They are expected to have an awareness of authorial intent and the implication of historical and cultural context on a piece of writing. I don’t think we spend enough time actually teaching children to look for and be aware of this when reading. Rather, we skim over it with a couple of questions here and there. Also, many sessions, even in upper KS2, have a heavy focus on AF1, i.e. teachers hear children decode rather than discuss other AFs with them. It is interesting to note that AF1 stops being an assessment focus from L4 upwards. This statement often seems to be followed by sharp intake of breathe, shortly followed by, “How does it work?” To which I reply, “Just like any normal lesson.” Instead of having a 30minute session every day, we have moved to have 2 x 1hour sessions per week which all children take part in. We choose an AF for the lesson, we plan activities which allow children to access this AF and we adapt the lesson as it goes along to allow all groups to make progress. It also allows me to work with the children that need it the most at that time. I can differentiate through many ways: the difficulty of the text the children are working on; the questions I am asking them; the level of support they are receiving. The outcome of the lesson is mostly written. This removes the problem of independent groups, it allows me to focus on one AF in depth and it better prepares children for the expectation of written responses at the end of KS2. 2) This means we now have an extended focus on reading AFs. Teaching whole class has allowed us to spend a greater amount of time on a focused AF rather than skimming over them. Recently, a reading lesson involved focussing in on a chapter of Charlotte’s Web. As a class we looked at how the reader’s feelings changed towards Charlotte as the chapter progressed. We charted our feelings on line graphs; we picked out phrases the author used to create these feeling within us; we even used the quotes we gathered to write a PEE response paragraph (Point Evidence Explanation) all focussed on AF5. Now, I am not saying that couldn’t be done in a 30minute Guided Reading session, but in this context, everyone could participate and feed off the responses of others. I could ask challenging questions that the whole class got to hear; I could support the lower ability because we could read the chapter together and highlight our quotes; we could take time to discuss the tricky vocabulary. It just seemed to work better and in a less contrived environment, without me worrying that my independent groups have lost the plot with their comprehension cards ten minutes ago. 3) We ensure weak readers still received AF1 support. AF1 (decoding texts) is vital if children are to become effective readers but stops appearing on the APP grids at Level 4: It is the expectation that children are confident decoders of text by the time they reach level 4. For our children who are not confident decoders we have phonic support sessions which run in addition to our reading sessions. It is important that they get the focus on AF1 but this should not be at the detriment to the other AFs otherwise we end up with children who can bark at print but have poor comprehension skills. 4) We use branded Reading AFs. We wanted to make our children aware of the reading skills they were using and we hoped this would give them a greater understanding of what makes a well rounded reader. I have tried this before when I taught Year 6 but this never got further than posters on a wall! We have created a simple logo for each AF and these are embedded in all our lessons: they appear on notebooks, teaching resources and children also receive a sticker with the logo on if they have demonstrated this skill in a piece of work. You can read more on this and see examples of our logos and download all the related resources here. We now start off our Reading lessons with a “Read with R.I.C” activity. This is where the children look at a stimulus: it may be a poem, short video clip or a picture. They have three questions to answer which have Retrieval, Interpret and Choice focus. You can see examples of these here. These short activities make children aware of the AFs. They also allow lower ability children to access the different AF questions while removing the barrier of decoding text. Hopefully as their AF1 skills improve, they will be move likely to exhibit skills in AF3 and AF5 when responding to texts. 6) It’s brought enjoyment back - for teachers and children! Finally, I like teaching reading again. I don’t get sick of asking the same questions but to different groups. I don’t get annoyed with frustrations of the Guided Reading carousel: someone in Dahl group was away so can’t do the follow up task; Rowling group have already done that comprehension; Jimmy’s forgotten his free choice book again so spends a good ten minutes dawdling at the book corner. The children look forward to reading sessions. We sometimes link our Guided Reading sessions to our Theme lessons and sometimes to our class readers which works well for us. This year our class readers are all Movie Books. We dress up as one of the characters and watch the film on the last afternoon of half term. There’s a buzz about reading and as a teacher I feel happy with where it’s going. And our progress data looks excellent too which keeps SLT happy. I’m not arguing that Guided Reading doesn’t have a place in the primary classroom; I think that for children achieving up to a secure L3 it can be a valuable teaching method if planned effectively, especially when children still need to develop their skills in AFs 1,2,3. My question is, is this approach still enough for those children moving into L4? When children move into Level 4 there is greater emphasis on a child’s ability answer questions relating to AFs 4-7, finally being assessed through written responses at the end of KS2. 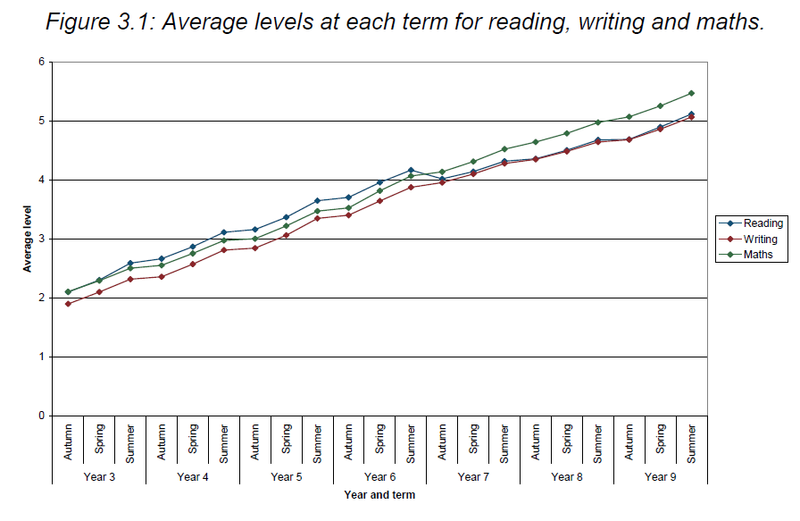 In fact even further along the line, KS3 colleagues nationally find that reading results tend to drop at the beginning of Year 7. Could this be due to too little attention placed on written responses and the higher AFs by the end of KS2? 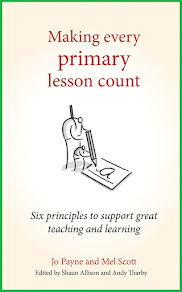 Perhaps if we as primary colleagues armed our level 4 and 5 readers with a greater awareness of the skills required to become a well rounded reader and began to introduce our children to how to form written reading responses, we might make the transition from L3 onwards smoother for our children. To see the blog post which contains explanations and downloads of the branding (now updated for the 2014 National Curriculum), please click here (opens in a new tab). To find out more about what these whole-class lessons look like and how they have now be adopted across KS1 and 2, please click here (opens in a new tab). 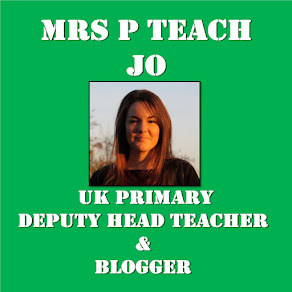 I no longer teach in the UK but was fascinated by this blog post. I couldn't help imagining how I was going to implement some of these ideas, despite the fact I no longer teach GR! This is really useful, and I can see it would really work across a whole class. I'm going to share this with colleagues, thanks for sharing your ideas. Awesome. I like your point (step 2) about lower readers needing to hear the higher level questions, and it's good for them to hear how the higher readers answer those questions. I'm really interested in trying your approach! A couple of queries: have you used the whole class approach in both KS1 and KS2? Reception class also? Are the 2 x 1 hour sessions in addition to daily Literacy sessions? Thanks, from a still happy teacher, generally speaking. Having taught in primary and secondary phases I wholeheartedly agree. I have added a link in the bottom of the post which gives more information about how this works in lessons and across the school. Stumbled across this blog and it has really struck a chord. Whenever I have taught whole class reading lessons, they have always been much more rewarding for all concerned. Why on earth I didn't make the connections that you have done, I don't know but I am so glad that you did and that you shared your findings. Thank you. Hi, I really enjoyed this, you have addressed many issues I have had with guided reading during my short time as teacher. We too have introduced a whole class reading lesson but so far it is not going as well as we had hoped. At the moment we are having 40 minutes a day after lunch. I am interested in when you timetable yours, and any thoughts/opinions on teaching reading in the afternoon? Thanks. A really good article, you have made the same conclusions I have, however it inevitably becomes difficult to convince staff who are used to carousels! I don't think reading is being taught with enough rigor in many schools and this seems to provide some solutions. Brilliant post I will share with colleagues. I put aside teaching Guided Reading a while ago too; it just felt like a wasted 1/2 hour every day as I never felt I was actually teaching anything. Now, we have a class read (most recently, Wonder by R.J. Palacio). We would read a chapter together and answer questions which covered all Afs,, in partners and group situations. sometimes the question would be displayed so the children became familiar with the layout and style of test questions (you can probably guess I teach in Year 6! ), then all children independently read and answer questions on the next section of the book. I usually repeat the skills and question styles from the beginning of the lessons. I have found this has transformed reading and has benefitted so many of the children. It's nice to hear that others are moving to this style of teaching as I found it took a while to convince others of its worth. I'm not sure whether you're after an answer from me or the commenter here but here's what we do. We generally try and have copies of the text for each child or at least each pair. This could be a newspaper article, poem or song lyric. We also make use of the percentage of books which can be copied for educational reasons. We have bought half-class sets of some of our books which allows one book between two. We also ask children to bring in copies of books if they have them at home or can get them out of the library. Do you have to buy class sets of the text each time? Or do you just buy one book and read aloud for the children? I love your idea and brought it up with my head. She shot it down because she described it as un-differentiated. How would you respond to that? Have you read the other blog posts about teaching reading here? If not, do have a look at them. There are example plans, loads of FAQs (including differentiation) and resources you can use. The best way to prove that it is differentiated - apart from showing planning - is to invite her to a lesson and show that, like in maths, science etc, all children can access the LO. Hi April, My Head had similar concerns. When she saw that this approach was much less time consuming, paper driven and rigid and hugely focused not only on a quality of questioning, but inspiring an enjoyment of reading for the children, she was more than happy. The differentiation in these sessions take personalised learning to a whole new level, you find yourself planning much more for specific target areas and individual children without feeling like they are being singled out, or on the contrary that you are only spending time with one group. I've used the whole class approach for a long time now and have seen a huge impact! Hi April, We do whole class reading and I would never go back now! If you look at the planning templates Jo suggests, you can clearly see the differentiation. It is really good to expose children to high quality texts that they might not necessarily be able to read on their own, but with activities at their own level so they can access the text. It's also really good for them to hear other children's answers to questions as it pulls them up. We also do quiet reading in the afternoon and that's where I hear my children who still need to work on decoding. My Head really loves it, and it is such a high quality teaching session now. Good luck! I would echo the comments above. We use yearly reading objectives to plan for whole class sessions in the same way that we would across other subjects. Differentiation can be planned in through use of resources, support, tasks etc. Thinking about Success Criteria can also help- what do you expect your LA/HA to be able to achieve? Mixed pairs works really well when looking at the RIC questions. Phonics intervention is still delivered where needed, outside of the RIC session. Hope this is of some help. This has definitely given me food for thought. As a year 4 teacher I have a wide range of abilities in my class. I have some very good readers, but they never do themselves justice in written tests and have an inability to read for greater depth of meaning. I do wonder how some of my independent tasks enable them to do this. I will definitely be trying this approach by merging two or three groups together (higher ability). I have also started using literature circles with my top group. Hi, I stumbled across your blog when looking for advice with guided reading. I'm head of year 5 in a middle school and we have found it increasingly difficult to find the time for guided reading, especially with 50 minute lessons, ran on a very 'secondary-like' timetable! I am going to forward this to our head of English and our head as I think it is just what we are after! I have a quick question before I do that: I love your logos etc. and 'R.I.C.' activities - are you happy for others to use those? Thanks for your comment. Yes - I am totally happy for others to download and use the logos as they wish. Hi Jo, thanks again for allowign me to watch your lesson. I have reread you post and really would like to use this approach at my new schoolin year 6. I think this approach would be the best one. With regards to the editable display pages on ppt. I thought these would be good as posters around the class or are they best used as part of the ppt when delivering a session? This is excellent! I love this idea and as reading is a big focus at our school this year after the attainment dropped with the introduction of the New Curriculum I am interested in putting this into action! I wondered if this could be done with each of the NC reading objectives - take one each week/fortnight? Did you select short stories or take a long book and focus all attention on this? Hi Lauren, We look at a mixtures of objectives/texts each half term. For texts, look at my post called "A year's worth of books". loved reading this! I teach year 1 and guided reading really upsets me! I have a group, my TA has a group so 18, possible non-readers, are left to do reading tasks independently.....whats the point? I agree with ofsted-who is learning??? ?Progress?